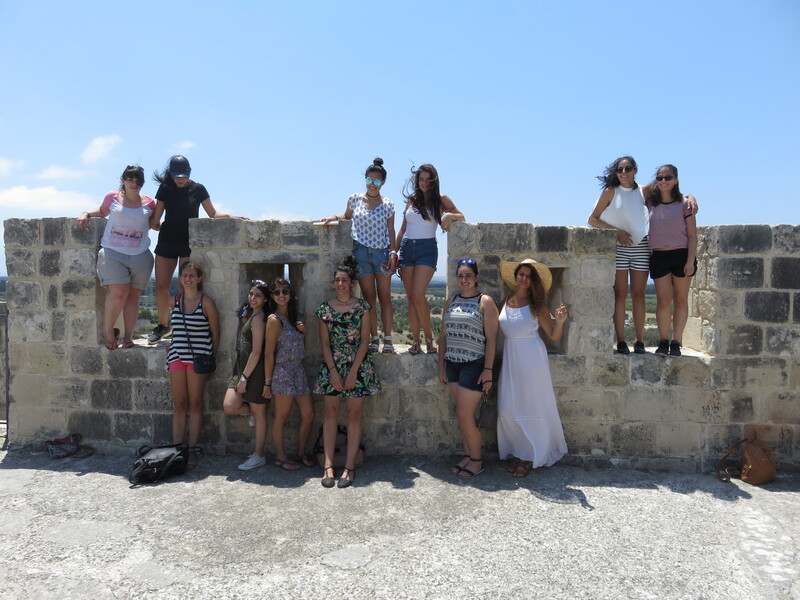 NDCP, short for “NEPOMAK Discover Cyprus Programme” is a unique experience where young Cypriots are given the opportunity to visit their homeland and improve their knowledge of the Greek language, Cypriot culture and heritage. 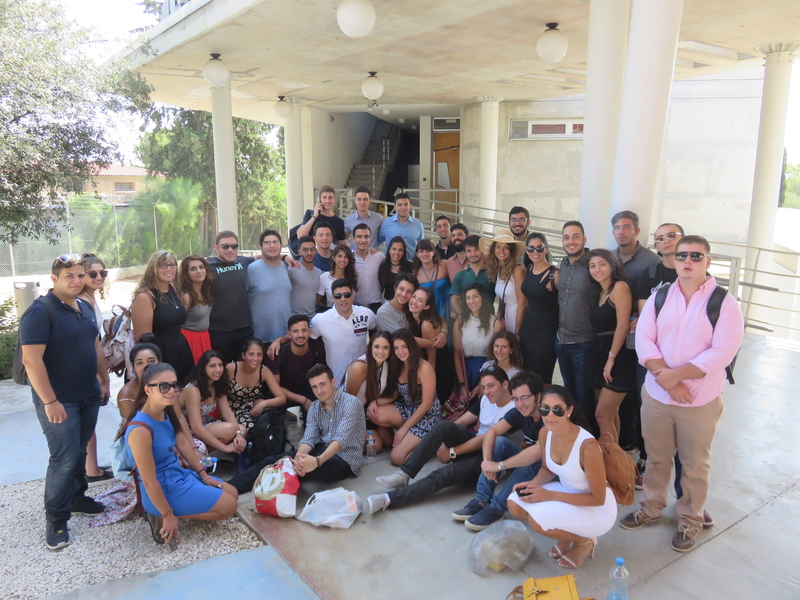 It’s also a fantastic way to meet and build lifelong friendships with other young Cypriots from around the world. The cost of excursions, accommodation, course fees and a small contribution towards participants’ flights to Cyprus are covered by NEPOMAK. Applications for NDCP 2019 closed on 17 February 2019. Not to worry, it’s quick, easy and free to sign up as a member of NEPOMAK! 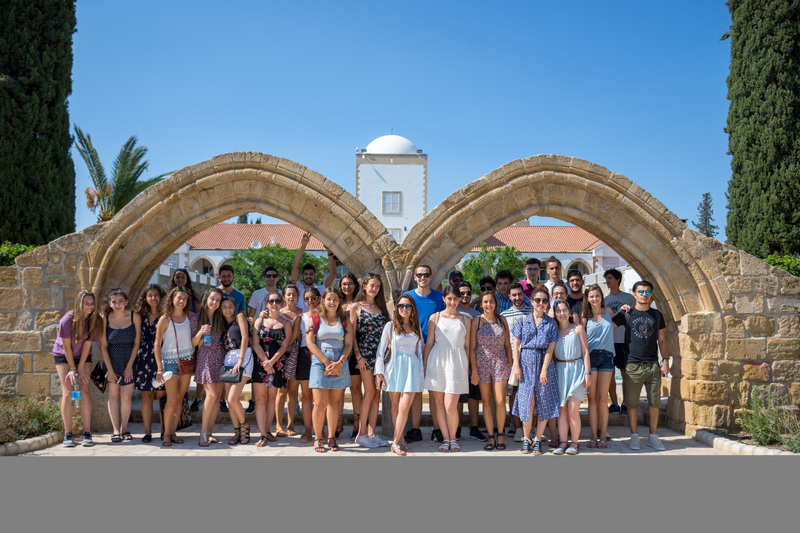 Program Includes: 3 week study at the University of Cyprus’ School of Modern Greek (with accommodation at the University of Cyprus Dormitory, Panestimioupoli, Nicosia). Participants from the UK, USA, Australia, Canada and South Africa will participate in a language course. 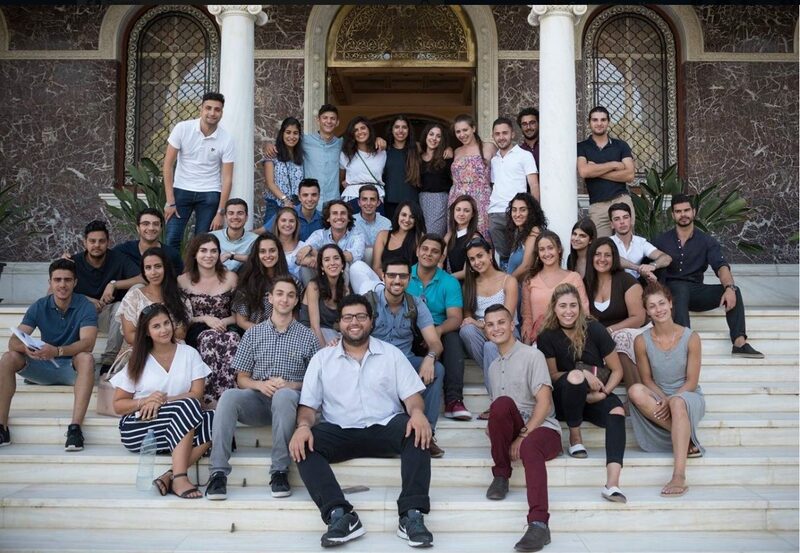 Participants from Greece will take part in a culture course. All participants will take part in culture, dance and history workshops. 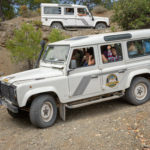 A series of excursions are also organised to museums, monasteries and the Green Line. 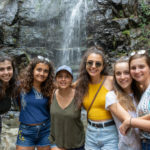 NEPOMAK covers the cost of your accommodation, tour costs, tuition fees and bus transportation for programme excursions. You will need spending money for food and recreation and other travel necessities. Please note that travel costs during free time will not be covered and will be at your own expense. You are to book your own return flights to Cyprus, with the cost of those flights made payable by yourself. Once the programme has finished NEPOMAK will try to secure a small subsidy covering a proportion of the airfare although this subsidy is not guaranteed. NEPOMAK will not cover any medical or travel costs. Please ensure you have adequate medical and travel insurance before arriving in Cyprus. Pens, Notepad and a filing wallet or a small pocket folder for lessons. If you wish to use the Internet – bring your own laptop and an ethernet cable. If you wish to charge your laptop, phone, camera or use the electricity, ensure you have the correct plug converter for Cyprus. The residence use a UK style plug, but we would also recommend that you bring a European plug converter as well for other accommodations. Please ensure to bring sunglasses, protective hat, deodorant and high SPF sun-cream along with any travel necessities! Outfits for nights out and swimwear for beach days, as well as light every day summer clothes. Bathroom towels as well as beach towels. Do I have to attend all classes and excursions? Yes. The programme is very generously sponsored and costs a considerable amount per participant. 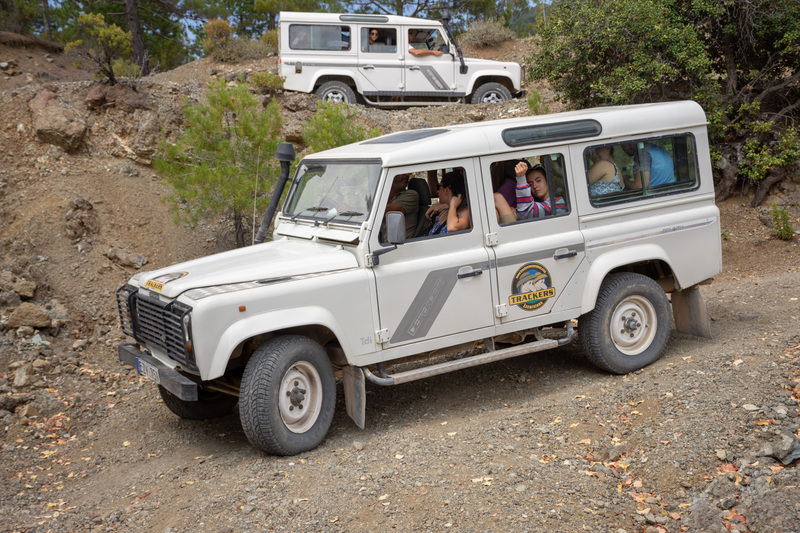 Full participation to all classes, excursions and outings is therefore expected at all times during the programme. If circumstances arise which prevent you from fully participating, please inform your advisors and the resident NEPOMAK representative immediately. If you fail to fully participate you may be required to cover the full cost of your participation. What classes will I attend? Classes will take place between 9:00 – 14:00 from Monday to Thursday at the University of Cyprus. 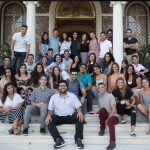 The classes will be split between Cypriot History, Cypriot Culture and Greek Language. 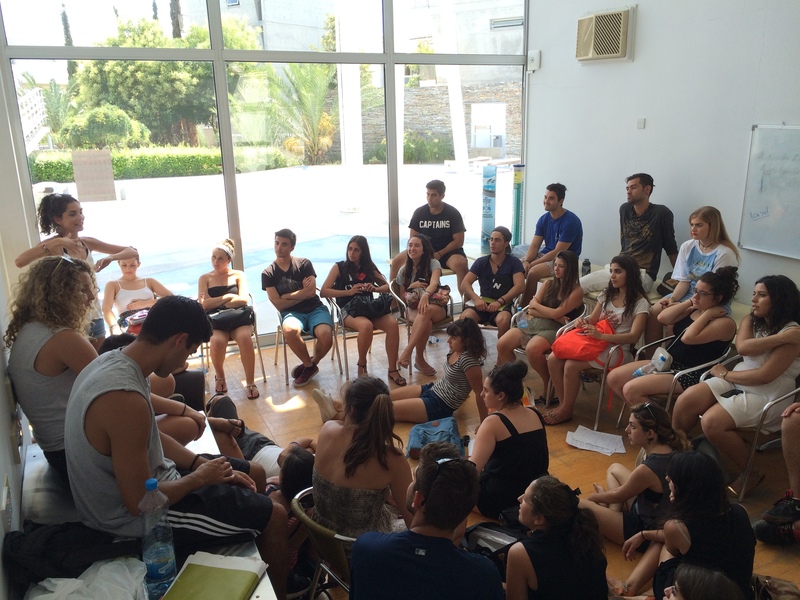 Greek Language lessons are divided into three classes; beginners, intermediate and advanced. On the first day of lessons, you will be asked to complete a simple test to assess your knowledge of Greek. Based on the results of this test you will then be placed in a class appropriate to your level. 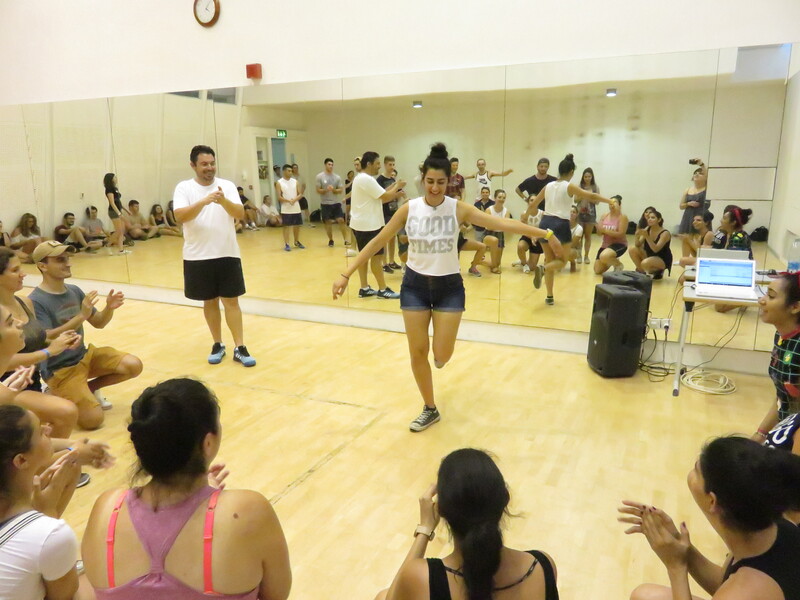 Dancing classes will occur during the week after regular language and culture classes. 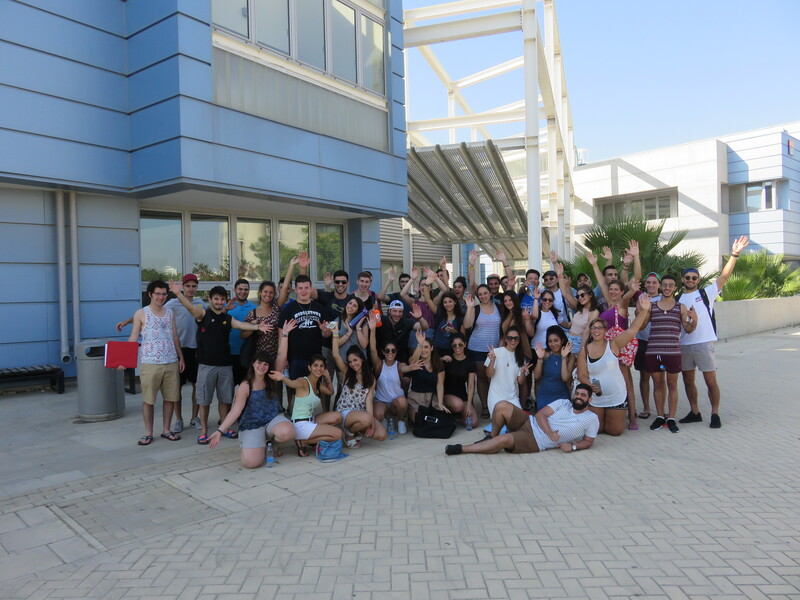 Accomodation is provided for all participants in the modern and well-equipped student residences of the University of Cyprus, which is only a 10 minute walk away from class. The single bedrooms are spacious and comfortable, and consist of a single bed, cupboard, sink, mirror, desk, air conditioning and a small balcony. Each room is provided with bed linen, a pillow and pillow cover. You are also provided with an Internet connection, but you must bring your own laptop and an Ethernet cable if you wish to go online. Each floor contains several rooms, a large fully equipped kitchen and a large communal bathroom. The bathrooms are shared and all the shower cubicles are secure. Please note that toiletries are not supplied. The residences are secured with a 24hour security officer, CCTV surveillance and locks to every floor and room. Will I have free time on the programme? Every Sunday you are given some free time during the programme. 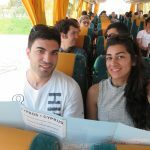 It is advised that you spend this time exploring Lefkosia and getting to know each of your fellow NDCP participants through daily activities, planned by your NDCP advisors. You will also be able to spend some time with family members, however we recommend that as much time is spent with your fellow NDCP participants during the trip. If you have made other plans in your free time away from the group, you must make sure that advisors are fully aware of your plans and are able to remain in contact with you. I learnt so much about myself and others on this trip. I really connected with my Cypriot roots and I felt so proud that my grandparents are from such an amazing country. Our history lessons taught us so much about our past, a lot of stuff that I hadn’t really known before I embarked on this trip. I learnt about global Cypriot communities and the similarities we hold. I was educated on different cultures and how we don’t realise just how different our lives can be. The bonds I built over the past three weeks will last a lifetime, I’m sure of it. It takes time to get to know people but the strength of our bond at the end of the three weeks was magical. I met people I would never have met otherwise and if it wasn’t for this trip, I wouldn’t be able to say that I have best friends across the globe now. People that made me laugh till I cried, and looked after me if I ever needed it. I can’t tell you how much I miss them already, they go from strangers, to friends, to family. Since I’ve returned from Cyprus, the question I’ve received the most has been, “What was your favourite part of NDCP?” And for each time I get asked, I give a different answer. To my grandparents, I say the things I learnt. Attending Greek language lessons gave me the opportunity to hone my conversational speaking skills, and history lessons were an invaluable insight into the nation’s conflicted past. To my parents, I say the places I saw. 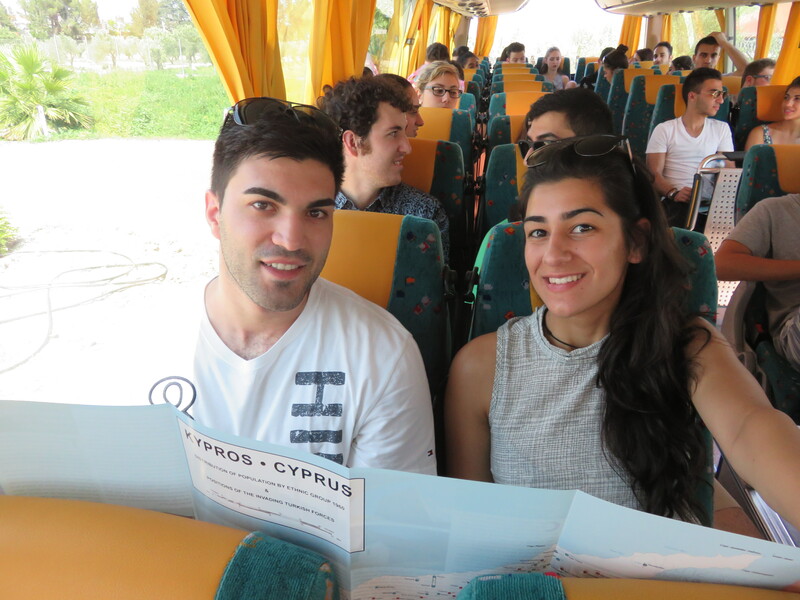 From crystal clear waters and golden sand to breath-taking mountain ranges, NDCP showcased the best of Cyprus. To my cousins, I say the food. I could spend all day listing mouth-watering meals but I’ll just put it this way – you’ll want to buy some new clothes by the end of the program. And to my friends, the people I met. My advisors and fellow participants are who made the trip go from an awesome time to the best month of my life. 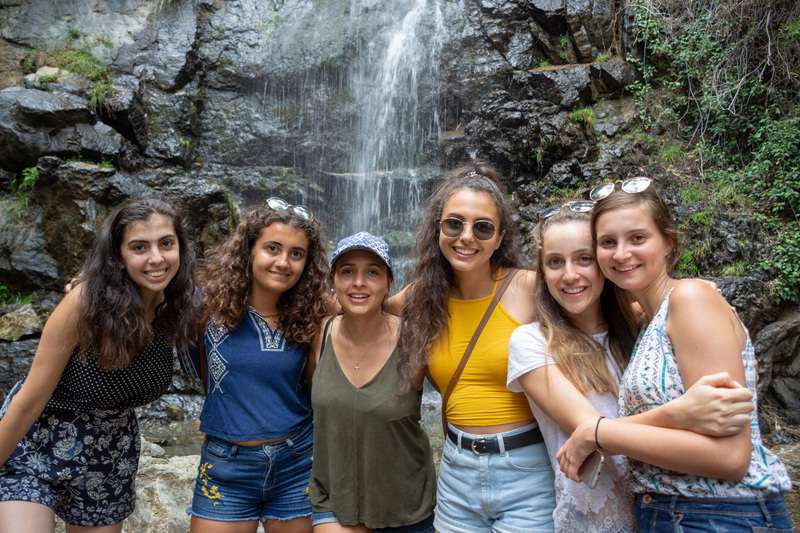 Friendships are forged through experiences – and NDCP creates bonds which will stay with you long after you return home. So, if you want to ask me what my favourite part of the trip was, expect to hear an answer I’ve never said before. How do you summarise a life-changing month in a few words? When applying for NCDP (despite only hearing good things about the programme) I never could have imagined the positive impact it would have on my life. I was not aware that over such a short period of time, life-long friendships and such close bonds could develop. The Cypriots greeted us with “welcome home,” and I have never felt more proud and such a sense of belonging before. 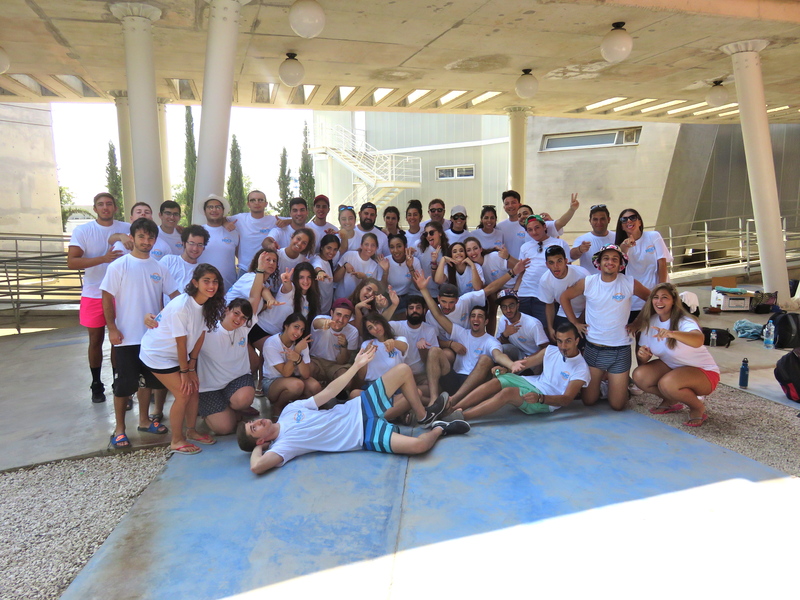 From the nights out, language classes, history and dancing lessons, to all the excursions and beach days, NDCP changed my perspective on not only Cyprus, but also who I am as a Cypriot. Every day on NDCP was unique compared to the previous day and I will always hold this trip so close to my heart. I would do it all over again in a heartbeat and strongly suggest any person considering NDCP to go for it! Thank you to every single person who managed to make it possible. Thank you for introducing me to my best friends and thank you for the best summer of my life. NDCP truly lived up to the high expectations I had of the program. I felt that I had kind of lost touch with my Cypriot roots since moving away from the large Cypriot community I grew up in. I really wanted to try reconnect with my heritage. This, combined with all the positive feedback I have heard from previous participants, led me to apply to go on NDCP. Two things I wanted to gain was a deeper insight into the Cyprus problem and also to learn more about the culture of the Island my Dad lived in. The program was packed with fun activities and events that allowed me to take back home more knowledge and understanding of the history about Cyprus. Discussing what we learnt with other participants in classes, excursions to museums and historical sites we visited was really enjoyable. 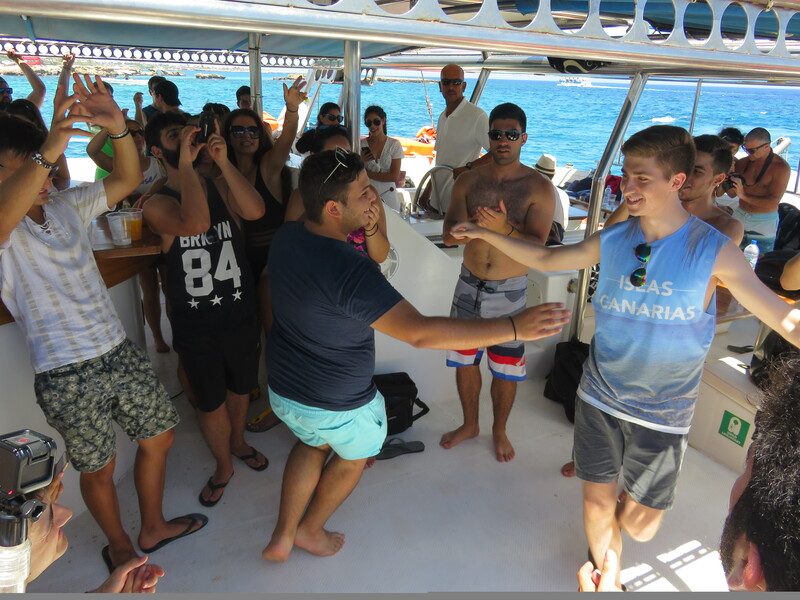 Greek dancing lessons turned out to be to be a particular favourite of mine. Everyone gave it their best shot and we generally all had a laugh, leaving the lessons with funny snapchat videos of each other and smiles on our faces. Plus, it was great preparation for our traditional taverna and bouzoukia nights! The nightlife of Cyprus didn't disappoint. Going on nights out to bars and clubs was a great opportunity to get to know everyone else on my NDCP. Overall, I left NDCP with a great group of lifelong friends (who I’ve already made plans to visit), loads of great memories and a newfound love for the Island I am proudly from. NDCP is one of those things in life that you will forever look back on with nothing but a warm heart. 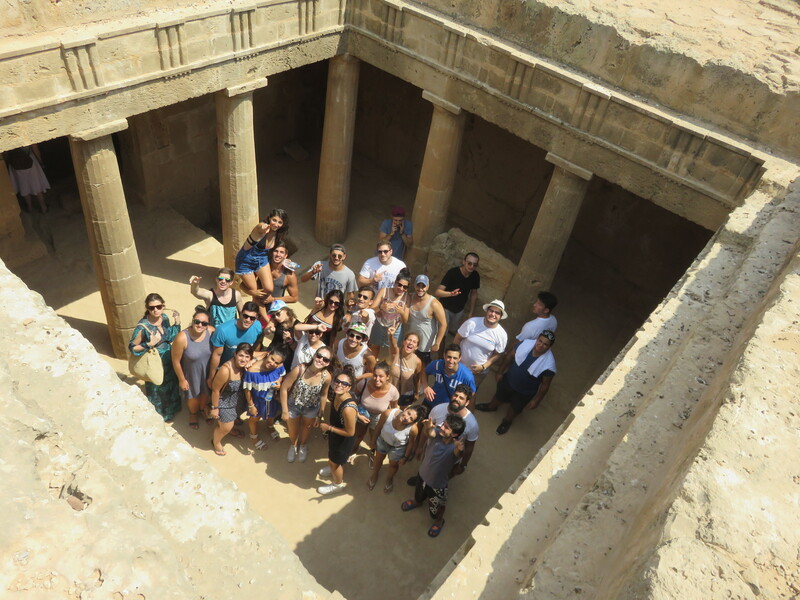 For three weeks you are immersed into the rich Cypriot history and culture, learn Greek (as well as some Cypriot 'chatista' that would make your Pappou the proudest man alive), experience some of Europe's best nightlife and discover life's simplest pleasure - lying on some of the most beautiful beaches in the world sipping an ice cold frappe. And yet, all these things don't even begin to compare to the amazing friendships and lifelong bonds that you make with forty of the most wonderful people from across the world. 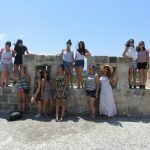 Although separated by thousands of kilometers, I know that we will forever reminisce about that summer in Cyprus (and I'll have a free couch to sleep on no matter where I decide to travel next). I really can't recommend NDCP enough, and two years on, I still haven't managed to speak about it without a silly grin on my face! Not having the opportunity to visit Cyprus in the past, my only ideas of this tiny island nation were those of a divided capital and ongoing struggle. 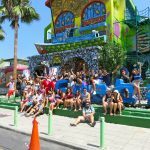 From others, however, I heard stories of scenic beaches, unique cuisine and developed cities bustling with tourists from around the globe. 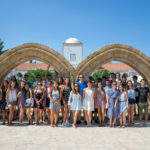 Being a successful applicant on this year’s NEPOMAK Discover Cyprus Program (NDCP) gave me the long-awaited chance which would allow me to make up my mind for myself. The program had a full schedule filled with lessons, day trips, tours and (everybody’s favourite) supermarket stop-offs! 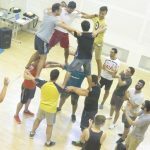 Lessons were held four days a week at the University of Cyprus and included language, culture and dance. Though language was my strength, the culture class gave a much needed insight to the history, politics and geography of Cyprus. NDCP is definitely a once in a lifetime experience which I can’t emphasise enough how great an opportunity it is! 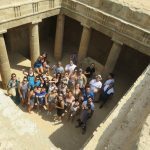 Although I have been to Cyprus for family holidays prior to NDCP, you are exposed to a completely different social, political and cultural environment! 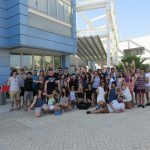 From day one, you will find that the three most important parts of the trip are: socialising and partying with every member of your NDCP group, learning and improving your Greek language, Cypriot history lessons and cultural day trips, and lastly Rocking ‘N’ Rolling in the “Hadjiglykos Bus” as you sing-along with all your new friends! Dancing with the “tatcha” (a traditional Cypriot flour sieve) and the "dhrepanin" (a traditional Cypriot harvest sickle) during Greek dance lessons was one of my favourite activities. Performing “chatista” (traditional Cypriot poetical songs) with friends throughout the entire NDCP trip and singing Tilikoritssa’, “Siko horepse kouklli mou”, “Loulla mou, Maroulla mou”, “Portokalia tou Karava” and “Ta rialia” on Cypriot night at the Taverna restaurant in Agia Anna was one of the highlights of the trip for me ! From playing “Kounga”, “Spastra” or “Billota” (traditional Cypriot card games) and “Tavli” (a traditional Cypriot board game) in the common room to eating Cypriot cuisine from Zorbas’ bakeries or Papaphilippou’s ice cream parlour along the cultural melting-pot of Ledra Street on the border of Nicosia, Europe’s last divided capital city. 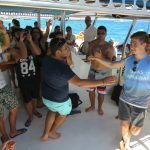 From playing volleyball in the sea, a boat party in Paralimni, partying on the beaches of Limassol at Guaba beach bar to enjoying the nightlife of Larnaca and Ayia Napa. From visiting the religious utopia of Kykkos Monastery to having an audience at the parliamentary palace. The opportunities and experiences you will witness during NDCP are endless and unforgettable! Post-NDCP, you’ll be lucky to not receive a minimum of 100 messages per day to your own NDCP WhatsApp/Facebook group chat, filled with ongoing jokes, laughs and reminiscing on cherished memories and old times! Till this day whenever anyone asks me, “what does NDCP mean to you?”, I simply show them the photo of my entire NDCP group (see above). 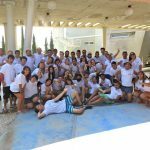 For that one photo of my loving “Big Fat Cypriot Family” from all over the world can explain more than 1000 stories ever can!